For many years now, Woodall's RV Owner's Handbook has been a staple among veteran RVers and newcomers alike! Written by the RV Doctor, Gary Bunzer, the RVOH is constructed generically (each topic has a dedicated chapter) to cover virtually all RVs, regardless of size or type, yet comprehensive enough to provide solutions to many RV usage and maintenance issues. Unfortunately the RV Owner's Handbook is currently out of print. Remaining copies may be found on Amazon.com or on the bookshelves of various RV dealers. 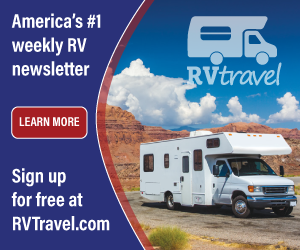 Gary is currently updating the RV Owner's Handbook and though no publication date has been set, news of its availability will be posted here at RVdoctor.com first. Please stay tuned!